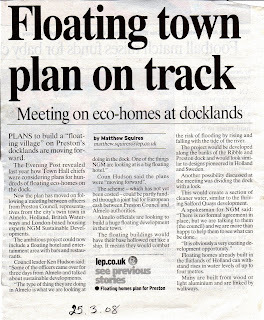 Ribblesiders will be alarmed to read in tonight's Lancashire Evening Post of new ideas to build floating houses and even hotels - not only on the Docks but possibly on the River Ribble. "Almelo officials are looking to build a huge floating development in their town. The floating buildings would have their base hollowed out like a ship. It means they would combat the risk of flooding by rising and falling with the tide of the river. According to the Lancashire Evening Post, the project would be developed on Preston Docks AND along the banks of the Ribble and would look similar to designs pioneered in Holland and Sweden. How hollow was Hudson's promise to Preston people not to mess around with our river? No-one objects to this idea in the man-made and sheltered docks, however our beautiful, natural, powerful and sometimes dangerous river Ribble is no place for these expensive follies. 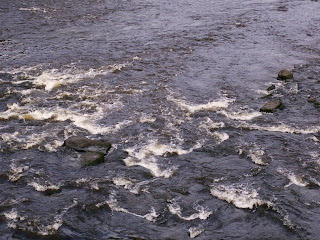 Lets get together to take action to 'Save The Ribble' from the greed and stupidity of the developers and our council. Today, Friday March 14th, is International Day of Action for Rivers, the 11th year in which the importance and irreplaceable beauty and necessity of Rivers are celebrated on this day, and the dams and barrages which are one of the most serious threats they face world-wide are opposed. All over the world today, people are bringing attention to the necessity of rivers and demanding that their flow is not changed by human hands. Dams and reservoirs have a huge negative impact on nature, animal life, and human societies and the enormous damage these constructions cause can never be undone. Here by the River Ribble we celebrate the day by not only celebrating our success - so far! 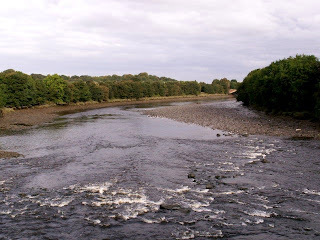 - in stopping the damming of the Internationally important River Ribble by a barrage, but by continuing to affirm our total opposition to any kind of barrage or weir or damn obstruction on our beautiful and irreplaceable intertidal river! We salute our friends and colleagues all over the world who are also fighting to defend their rivers from dams, barrages, and reservoirs which are still threatening the world's rivers, and the future sustainability of our environment, our precious water resources, and countless human communities. Friends of the Þjórsá River are going to meet by Urriðafoss waterfall and read poetry from 20:00 - 21:00þ The waterfall is now in its "winter costume" and people are asked to come and take a look at it and at the same time show solidarity and support with it, the Þjórsá river and the people fighting against Landsvirkjun´s plans (the national energy company) to dam the lower part of the river. In Café Hljómalind (Laugarvegur 23, Reykjavík), Saving Iceland has organized a movie/discussion evening. The idea is to show short movies connected to the day, about the global impact of heavy industry and big dams. Between movies there will be discussions which will hopefully lead to further actions. You can catch up on what’s happening with the Saving Iceland Campaign here. In Mesoamerica, dam-affected people will hold several conferences to coincide with the International Day of Action for Rivers. Many of these meetings will concentrate on the concept of water as a human right, as well as on the imperative need to resist further privatization of this resource. In the United States, community members will join together to clean the Sacramento River, and Friends of the River will host a "California Rivers Festival," which will feature exhibitions and films. International Rivers will host an event in Berkeley focused on the spectacular, pristine rivers in Patagonia that are threatened by impending plans for major hydro-electric projects. Guests will have the opportunity to see both a slideshow of stunning images and a video of one of the first-ever expeditions down the Pascua River. In Germany there is a day of Action Against the controversial Ilisu Dam in Turkey. A joint declaration will be presented to the Turkish government asking it to cancel its plans to build the Ilisu dam and instead, to develop a "truly participatory sustainable development plan for the region". In Spain - Into the Dams to Voice Protest! In the province of León, participants will hold up and display dam protest posters in the dams and by some of the bridges that are visible from the road. The "Coordenadora de Afectados pelas Grandes Barragens e Transvases - Secção Portuguesa" (COAGRET-Portugal) will celebrate the International Day of Action for Rivers at the Tua River (Trás-os-Montes, NE Portugal), which is threatened with the prospect of a 100 meters-long hydropower dam. Starting in the morning, students in a Renewable Energy course at Mirandela High School will co-host a colloquium with COAGRET, titled, "Microgeneration of Energy = Macrogeneration of Jobs". Next, there will be a kayak demonstration at the Tua River next to Mirandela's city center, and a kayak trip from S. Lourenço to Foz Tua. The day will end with a train trip, up to the Tua valley and then back to Mirandela.During the weekend following the Day of Action, river defenders will take part in hikes, birdwatching trips and organized meetings with dam-affected peoples. In attempt to stop the actions of the Unicredit Bank, there will be a demonstration in protest of dam construction at the Hasankeyf and Tigri's Valley in Turkish Kurdistan on March the 14th. There will also be protests at the Unicredit Banks in Milan and Rome. Long Live the World's Rivers Wild! Lytham St Annes Civic Society is hosting a talk about the Ribble Coast and Wetlands TONIGHT at the Lytham Assembly Rooms, beginning at 7.30pm. Laurence Rose, chairperson of the Ribble Coast and Wetlands Country Park and Regional Director of the Royal Society for the Protection of Birds will be giving the presentation. This event promises to be a fascinating and informative evening, so come along if you can! The Lytham St Anne's Civic Society are actively involved in trying to protect and preserve the natural and historic environment along that stretch of the River Ribble, including trying to protect the SSSI/Ramsar/Green Belt sand dunes and the foreshore from development, sand extraction, and neglect. This is a particularly fragile area of the Ribble's ecosystem, at the mercy of the sea and the weather as well as the short-sightedness and neglect of human behaviour. As this area is also at significant risk of flooding, it is now more important than ever that the natural flood defences of the foreshore and sand dunes are maintained and improved for the long-term sustainability of the Ribble's wildlife ecosystem AND that of human communities. and you can find out more about the importance of the Lytham Sand Dunes here at Defend the Dunes. And treat yourself to one of the River Ribble's fantastic Ribbleside walks this Spring - along the River Ribble from Preston to Lytham St Annes. Gorgeous. The controversial proposal to build a barrage on the River Severn is still in the pipeline. Like the Ribble, the Severn is a crucially important intertidal river to the UK and Europe's Wetland Ecosystems - not to mention the World as huge numbers of birds globally rely on these crucial wetlands for over-wintering migrations AND for breeding sites. And like the Ribble, the Severn has huge support OPPOSING the costly and ruinous absurdity of a barrage. Yes, we DO need to increase our provision of renewable energy. But NO, it is NOT ACCEPTABLE to DESTROY ONE PART OF THE ENVIRONMENT TO "SAVE" THE ENVIRONMENT!!! River Barrages are costly and destructive and UNSUSTAINABLE. Our Wetlands are crucially important and irreplaceable. Alternative, SUSTAINABLE, and cost-effective renewable energy schemes - such as Tidal Lagoons do exist. It's time to start thinking outside the barrage. Visit the Save Our Severn Blog for more information, and SIGN THE SEVERN PETITION NOW! Our intertidal rivers are vitally important - and under threat from developers and ill-conceived schemes which claim to "save" the environment but which will destroy these vital ecosystems forever.